In line with the new General Data Protection Regulation ('GDPR'), we have updated our Data Protection Policy which applies to all our clients at The Alternative Vet Practice. You can access the new Data Protection Policy via this link, or contact us for a copy. We have made these changes so that the policy is easy to read, clear on how we process personal data and explains our clients' rights under the latest data protection legislation. We hope you find these communications useful. There is no action required at your end. In the future, should you wish to amend your marketing preferences or opt-out completely, please call the practice on 01595 810837, and we will be happy to organise this for you. 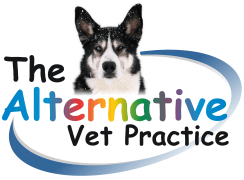 Thank you for using The Alternative Vet Practice.